The scene of the fire on Tara Glen Drive Friday. Fire officials said an intense fire was in the attic and had to be attacked from inside and outside the house at the same time to put the fire out. 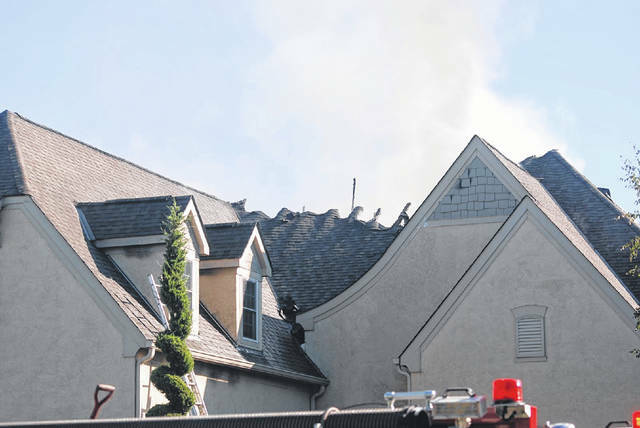 Pictured is the home on Tara Glen Drive in Delaware that was damaged by fire on Friday morning. No one was injured in a fire at the Reserve at Glenross neighborhood Friday morning, the City of Delaware Fire Department is reporting. City of Delaware firefighters were summoned to Tara Glen Drive in the Reserve at Glenross subdivision off Cheshire Road Friday at 9:31 a.m. after a structure fire was reported. 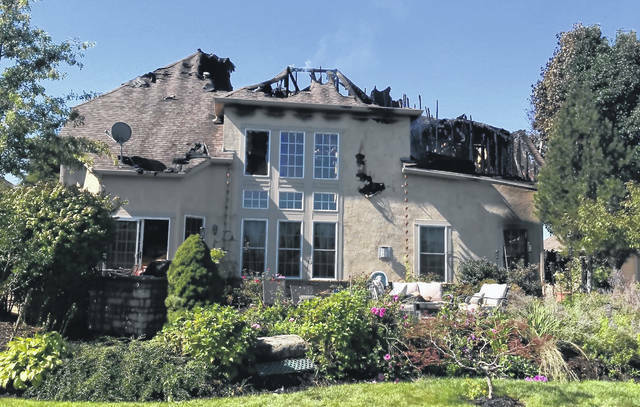 Fire Chief John Donahue said Friday that firefighters arrived at 9:41 a.m. and found the attic of the home contained a fire. Donahue said the fire was “heavily charged,” and he added it was a challenge to combat the fire because it was in the attic of a two-story, cathedral-style ceiling. Donahue said crews had to open up the ceiling to get to the fire. Donahue added firefighters attacked the fire from both a safe position inside the residence and from outside the home. After a 50-minute battle, the fire was extinguished. The investigation into the cause of the fire is still ongoing. Donahue said the fire department was working with the homeowners, and he added the Red Cross was on scene to provide assistance.